Bay Island is a private gated community located in Newport Beach. Located off the Balboa Peninsula, Bay Island has 23 private residences. These Newport Beach homes are actually a co-op, and each of the residents has access to the private tennis court, the garden area which is located in the center of the island, and parking for their vehicles which is off-site. Bay Island in Newport Beach also has a full-time caretaker that lives on the Island. Bay Island originally began as a gun club in 1903. Bay Island is impeccably maintained with beautiful and landscaping, and flower gardens. Bay Island in Newport Beach is very unique, as it is a pedestrian island – there are no automobiles on the island. Some of these Newport Beach bay front homes have golf carts to transport their supplies and groceries to their homes. Any supplies brought to the island must be carted in by hand, as there is no room for any vehicles with the exception of golf carts. 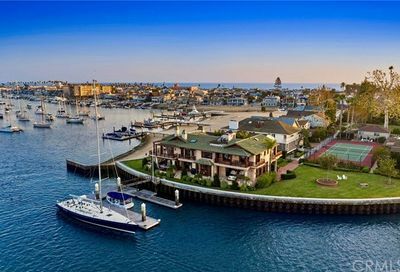 Because there are only 23 homes on Bay Island in Newport Beach, at times there may not be any for sale. Please contact me to provide information on what you are searching for. If you are searching for a Newport Beach home for lease, you will find more information here and if you need a specific search set up, please contact us! Search the MLS for Bay Island homes for sale, bay front homes in Newport Beach, and Newport Beach Real Estate. Bay Island is a gorgeous community located off the Balboa Peninsula. Search for homes on Bay Island in Newport Beach.